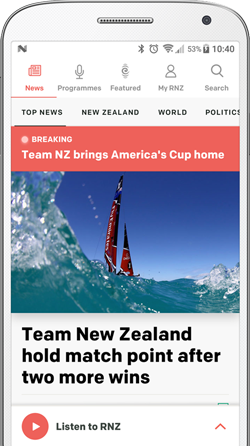 The government considered walking away from funding an America's Cup village in Auckland as negotiations ran into trouble in their final weeks, papers released to RNZ reveal. The option to pull-out of the negotiations was underlined by the Ministry of Business, Employment and Innovation's lead manager Heather Kirkham in an email to Economic Development Minister David Parker, who led the government's negotiations. 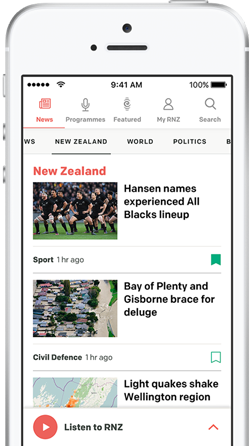 "As you are aware there remains a walkaway option for the Crown, council and ETNZ (Team New Zealand) if we are unable to reach agreement," she wrote on 19 February. The email exchanges provided in response to a request by RNZ to Mr Parker's office partly explained the ebb and flow of base options during the three months of intense negotiations. The first option to be rejected was Team New Zealand's preference for a 220m extension of Halsey Street Wharf, creating a stadium-like focus for the event. "It is the most expensive (option) and potentially the most contentious, given the level of building into the harbour," a 3 November briefing to incoming ministers in the new government noted. "It does however have significant legacy options through providing additional superyacht berths - $200 [million] to $430 million benefits out to 2030," a briefing paper revealed 12 days later. Another week later that option was dead, with the Auckland Council favouring a cheaper $132m plan to spread bases across smaller extensions of Hobson, Halsey Street and Wynyard Wharves. The council was then to meet in mid-December to finalise that choice, but Mr Parker wrote to Cabinet about a week before that deadline revealing he had asked the council to explore a cheaper option with even smaller wharf extensions using clear land on Wynyard Point. "It is important that this be explored," Mr Parker wrote in a cabinet briefing paper. "Maintaining this option in the meantime provides government with leverage in negotiations around our contributions to the event." Mr Parker's level of involvement in pursuing that option became clear when the minister phoned from South America during a council meeting. He urged councillor Mike Lee to keep that option alive even if the council sought resource consents on its favourite, which it did. Mr Parker also suggested an Auckland Council agency had ulterior motives in making a proposal that he favoured look expensive. His frustration with the role of the council's lead agency Panuku was clear in a 20 January email to mayor Phil Goff. The council refused to provide the full email, and the redacted version appeared muted in its criticism, but the following redacted comments by Mr Parker were released to RNZ two months later, after the intervention of the Ombudsman's office. "I record my disappointment that Panuku has repeatedly positioned our efforts to date by publicly stating the costs of reducing the HSNO (Hazardous Substances) risks on Wynyard Point were over $100 million, when they knew we were not considering any such cost, or early closure of the northern tank farm," Mr Parker wrote to the mayor. "If there are other reasons behind Panuku's apparent preference for the more expensive extension to Halsey Wharf, they could be legitimate, but should be explicit." Mr Parker questioned whether Panuku might have a "long-term desire to sell land on Wynyard Point for commercial or residential development." From December onwards, Mr Parker's MBIE officials led the work to secure an alternative base layout that met the minister's belief that a cheaper deal with smaller wharf extensions could be achieved. Emails showed that by late January, costs for both the council's chosen option, the "Basin", and the minister's preference, the "Point", were rising. "The updated costs ... have come back significantly higher - around $190 million - and within $1 million of each other." The Basin had risen by $45m to $196m due to more accurate construction estimates and a higher cost to relocate a car ferry and fishing boats to a new facility. The Point was up by $68m to $195m for similar reasons, but MBIE thought it still had potential. "The Point option has real legs now, and needs to be run to ground one way or the other," Ms Kirkham wrote to Mr Parker on 1 February. "There is significant opposition to the 75 metre expansion (included in the council plan) and there is no clear legacy use for it." On 8 February, Mr Parker met with Mr Goff, Team New Zealand chief executive Grant Dalton and board member Sir Stephen Tindall. An MBIE briefing paper for that meeting showed that officials were already preparing papers for a resource consent application on a new variation that neither Team New Zealand, nor the full council had seen. That option, called the "hybrid", was revealed publicly by Mr Goff and Mr Parker 6 days later on 14 February, pitched as the plan they favoured and promoted as being $15m cheaper than the council's choice. What the politicians didn't mention was Team New Zealand also put forward a new proposal. An MBIE email was unconvinced by the team's estimate that a whopping $70 million could be saved by extending Halsey Street Wharf by 75m instead of 45m and avoiding the need to clear and use Wynyard Point. Negotiations were in trouble at that point. Team New Zealand's Grant Dalton was furious that the mayor and minister had gone public without first exploring the team's proposal. "I'm a bit pissed off" were his words when a new government-mayor variant emerged, dropping the Hobson Wharf extension that would have been the team's permanent home. RNZ understands that rising costs over the following fortnight put in jeopardy both the "hybrid" option and the option the council had lodged for resource consent. Then came the circuit-breaker on 23 March in a Heather Kirham email with the subject line "what a difference a day makes". "Quick heads up - of a new ETNZ proposal that looks doable. We will know tomorrow," she wrote. With Grant Dalton already heading for Italy and wanting to confirm to challengers that a deal had been done in Auckland - or not - team director Tina Symmans proposed basing the defender in the existing Events Centre on Halsey Street Wharf and reducing that wharf's proposed extension. "Cost is probably at least $10 million cheaper than what's currently on the table for construction costs," wrote Ms Kirkham. "Minister is happy with this in broad terms," she told officials. The government, council and Team New Zealand jointly announced their agreement on that plan four days later. The New York Yacht Club will compete as "American Magic" in challenging for the next America's Cup in New Zealand in 2021. The council agency which runs many Auckland facilities is worried about the impact that an America's Cup village will have on the Maritime Museum. Auckland councillors have backed the plan to build an America's Cup Village on the waterfront. The new layout proposed for an America's Cup Village in Auckland could take two months longer to clear the planning process, than the abandoned concept. A poll suggests 70 percent of Aucklanders do not support a wharf extension for the America's Cup village on the city's waterfront.